As we all know, technology is advancing at a rapid rate of knots, but for a long time the hospitality industry has struggled to catch on. 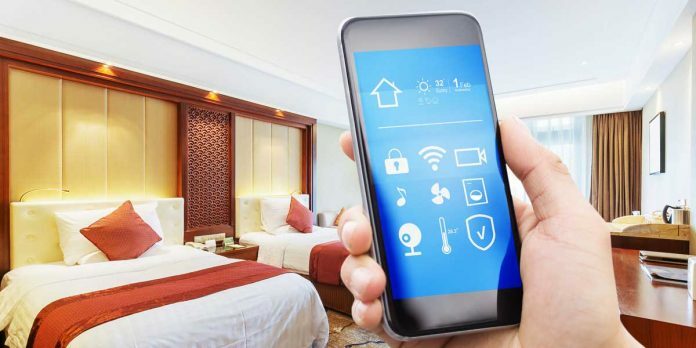 Thankfully we’re now starting to see more properties push the boundaries and explore how travel technology can be used to exceed guest expectations. So here’s my list of some key technologically driven developments which we expect to see more of in 2019, and how they can help to improve your experience as a guest. 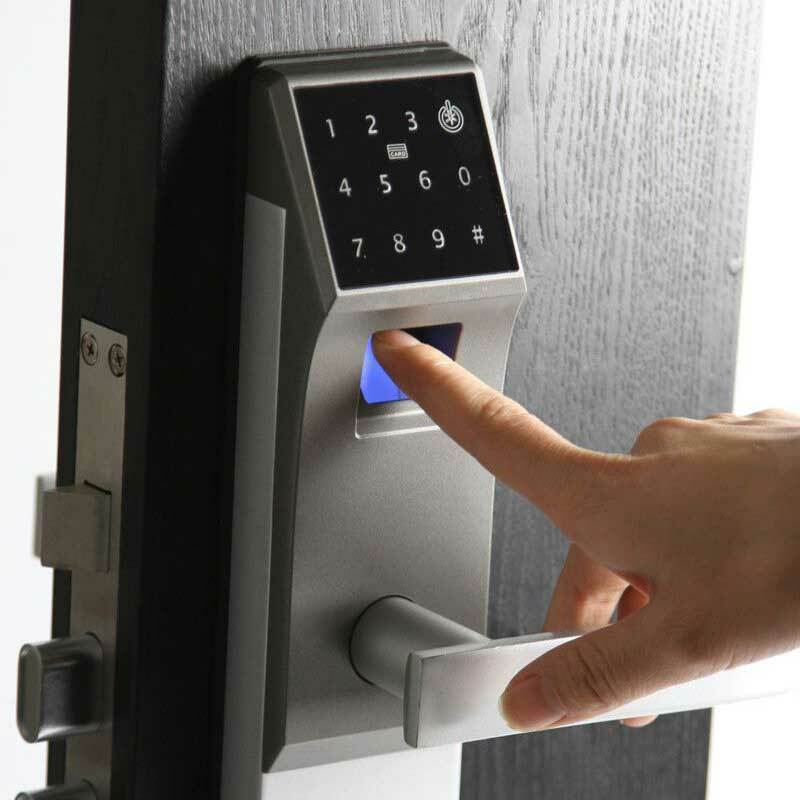 Sure it’s been around for a while, but keyless door entry and online check-in use in hospitality, especially hotels, is still relatively new, Why? 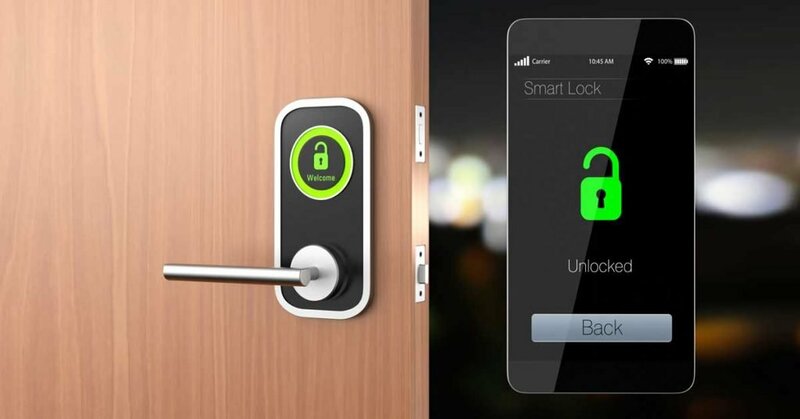 Well, firstly the necessary door lock technology is quite expensive to retrofit and secondly, it usually requires guests to download another app and work through a clunky multistep process. Thankfully, this is changing, through automation and enhancement this is now down to a simple two-step process, allowing guests to check-in and enter their room in a seamless and efficient manner. No queues, annoying paperwork or plastic keys that don’t work half the time. 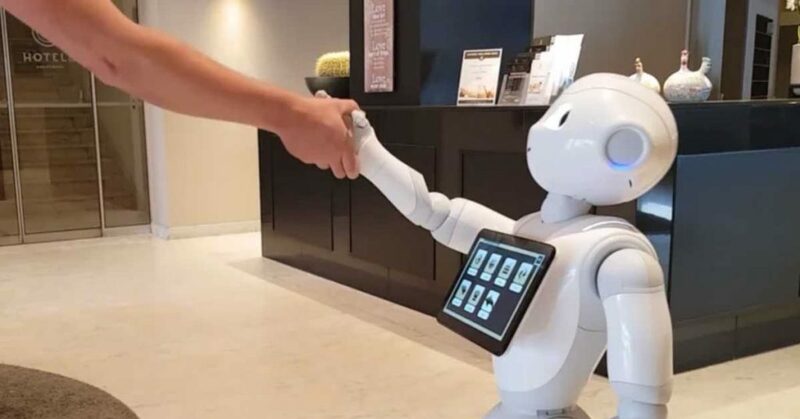 Whilst for many, being greeted by a Robot might yet be a stretch too far, (check out Hotel Andromeda in Ostend, where Pepper the robot is on duty to perform concierge duties in a variety of languages), but the big brands are catching on with Marriott, Hilton and InterContinental all using robots in some shape or form. For me I’m not totally convinced yet, but where the gains can be made at this stage is through AI and bot responses. Using them in guest communication increases the speed of response and also allows employees to spend more time on the floor, meeting greeting and interacting with guests face to face, creating a more welcoming and comfortable environment. 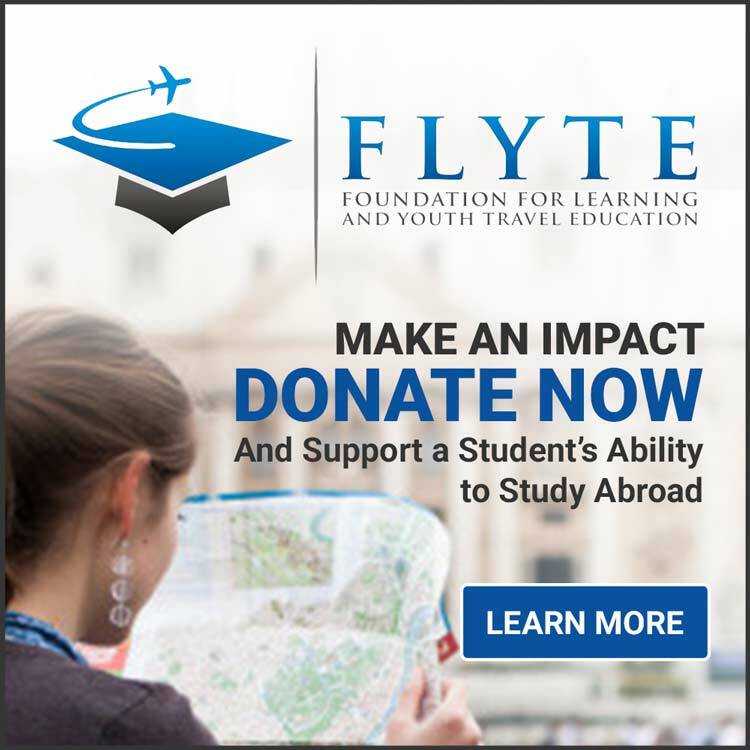 You might be asking, well how does this impact me as a guest? And the answer is simple. By allowing cloud-based technologies to link and connect easily, it means providers’ processes are more streamlined and efficient removing typical pain points in the guest journey or manual errors which can cause guest dissatisfaction. Imagine making a booking, being charged, arriving, sleeping, eating and departing without needing to interact with a staff member. It might not be for everyone but with open technology it’s possible. Last Christmas, Amazon sold out of Echo home connectivity speakers in the UK. Why? Because they are simple, effective and make our lives easier. So if that’s what you’d expect at home, why should it be any different when you stay away from home? Our lives are now a blurred mix of work, leisure, family and personal time and we need environments around us to support that. Think controlling the in-room air-conditioning, whilst streaming your Netflix account and ordering room service all with the touch of a button from your phone or simple voice command – who wouldn’t want that? Over the last couple of years it’s become pretty normal to unlock your phone using touch or facial recognition. So moving forward I expect to see biometric technologies creating waves in the hospitality industry, helping to enhance personalisation, improve staff management procedures, and automate billing and arrival processes. Not only is it pretty cool, it’s also safer, more accurate and faster for both guests and teams. Smile – you’re on camera. So when you’re booking your next stay, cast an eye as to how properties are using technology. Chances are, if they are early adopters you’ll find your stay frictionless, efficient and their staff with more time and energy to interact with you, making your stay more enjoyable and unique. Robert Godwin, 30, the MD of Lamington Group, leads a 50-year old privately held real estate investment and development business into quality, design-focused residential and commercial investments. Under his leadership, the company has tripled in size in 7 years. 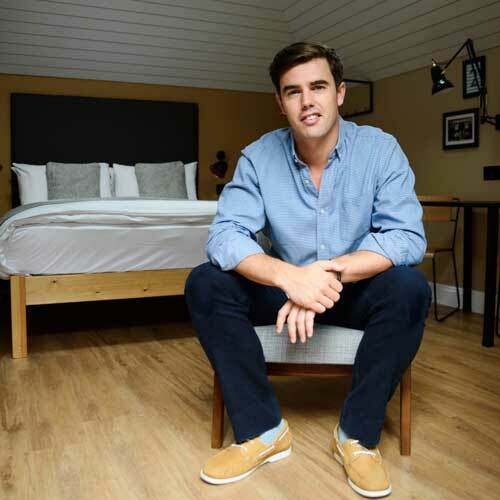 Created by Lamington, room2 is an exciting independent hometel brand which combines the very best of hotels and Airbnb, and targets the needs of today’s global traveller. room2 is a place to live not just to stay, where flexibility and freedom are paramount and the traditional rules and restrictions of hotels are removed. Hometels are a new accommodation sub-category which room2 aims to define and lead as it develops into a national hospitality brand, with an ambitious vision of 1000 units by 2025. 2 sites are now open in Hammersmith and Southampton, with further sites due to open in Chiswick and Manchester by 2021.